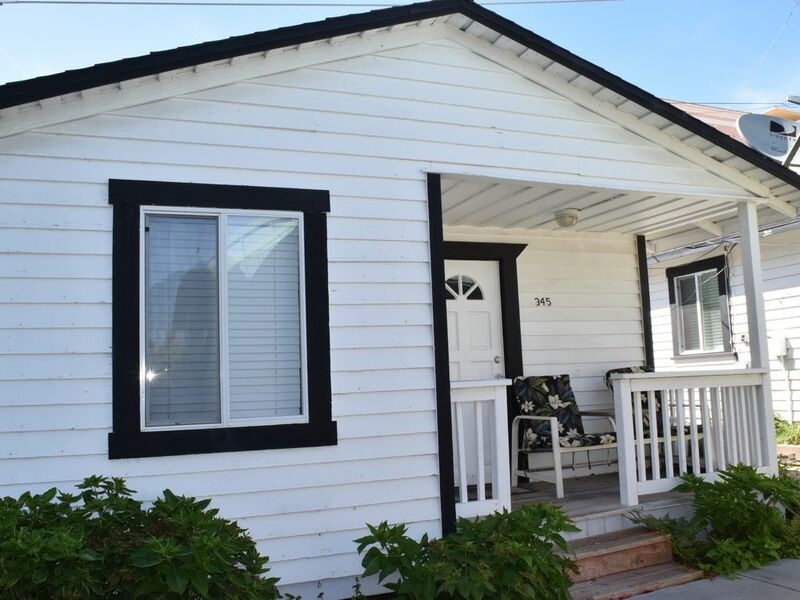 This two bedroom, one bathroom cottage is just two and a half blocks to the beach, pier and boardwalk with plenty of shops and restaurants in between. This unit provides a breakfast bar with two stools, wireless interent, flat screen TV/DVD with basic cable, and a front porch to sit and enjoy the weather here at the coast. This cottage sleeps six people on one queen bed, two twin beds, and a futon in the living room. Shared laundry and BBQ with 343. Street parking only, if rented by itself.